Tope Williams-Adewunmi: Do I Really Need to go to Fashion School to Succeed in the Industry? Well… that’s like asking if you need an education to succeed in life generally. But, I could also argue that many self-made billionaires either never went to school or dropped out of school. Cases in point: Richard Branson, Steve Jobs, Mark Zuckerberg, Bill Gates and also our very own Cosmas Maduka of Coscharis Motors…and the list goes on. I know you could say well… those people are not in the fashion industry – or the fashion industry is different and a lot more complicated so I’ll bring it closer to home. Ralph Lauren – yes you know him (many of us own at least one of those tops with a horse on it) – well… he never went to fashion school and also dropped out of business school. The last time I checked, he was worth about $6.5 billion according to Forbes in 2012 and I am sure he is worth a whole lot more now. So with these reference points, it kind of makes you wonder why you need to put yourself through so much stress and spend all that time and money to get the knowledge right? Yes, I also asked myself that same question at some point until I realized that although these men may have dropped out of school, they opted for a different kind of learning environment. They got the relevant work experience and spent a long time at it as well. Cosmas Maduka revealed how long he spent as an apprentice learning the nitty gritty and Ralph Lauren worked at a tie manufacturing company. So whilst it was not the conventional fashion school, they still learnt the ropes in a formal establishment. Needless to say the learning would have been pretty unstructured since I doubt there would have been any form of proper curriculum to follow. So it would have been pretty much “on-the-job” training – which, by the way, you still need even if you go to fashion school! So lest I digress, on the question of “to go to fashion school or not to go to fashion school?” here is my take on it. I’m listing just a few of the benefits of going to fashion school from the perspective of someone who attended one. First, we all know that to be the very best in any field, you NEED to learn the basics – especially if you are coming from a completely unrelated field. That foundation is key! Attending a proper school gives you an in-depth knowledge of the processes and procedures and makes you extremely knowledgeable in the field. There is also some form of structure to what exactly you are learning as against work experience where you are learning on the job with no set curriculum. That way, you can properly plan your time and finances as well. Plus you tend to draw your customers in with your knowledge since they are convinced you know what you are doing. Now don’t get me wrong, work experience is vital! You still need it! But I have found that the questions you ask during the work experience will be more channeled towards how to apply what you have learnt in school. Plus, things make more sense to you in a shorter period of time and you can also use the opportunity to learn other areas you may not have been exposed to in school. Which is why a lot of fashion schools include some form of internship during the programme. Second, fashion school changes your whole perspective of what fashion and the industry is really about. Like others, I thought fashion was all about designing great clothes and sewing them but after just one year in fashion school, I realized that was just a parochial view of what the industry had to offer. Anyone with a thorough knowledge of the industry will tell you that there are SO SO MANY business opportunities in the Industry over and above the real art of fashion design and manufacturing. Do you need school to learn that?! Well… no. But it does help you know about them and you do get to learn how to exploit those industries in a shorter period of time. Third, fashion school helps to shape your vision and further mould your idea into something more tangible. It also helps you discover who you are as a designer. You may have started out with just an idea and no clearcut plan on how to achieve it but attending a fashion school helps to put that plan into better perspective. You also learn quickly enough what your strengths and weaknesses are so you can build on those strengths, work on those weaknesses and focus your energies on the areas you naturally gravitate towards. Fourth, fashion school is a highly competitive environment. You are in a classroom filled with a lot of talented people so it helps you up your game as well. Of course, everyone thinks they are the best. Well, that is only up to the point when you get into a learning environment and realize that someone else is better at what you thought you were the best at. Watching others also inspires you and pushes you to put in your best –and you definitely need that best when you eventually start off on your own. PLUS it helps you know what others are really doing so you can add that extra touch to your work which will help you carve that niche for yourself when you start off. Fifth, fashion school gives you an opportunity to create vital networks and also learn from others in a controlled environment. Your teachers and fellow students form part of that network which you will definitely need when starting your business. They are collaborators who you can always call on for help because of that bond created in that environment. Well I usually stop at 5 but I’ll throw in an extra one – which to me is the most important. Fashion School affords you the opportunity to make mistakes in a learning environment and learn from them. 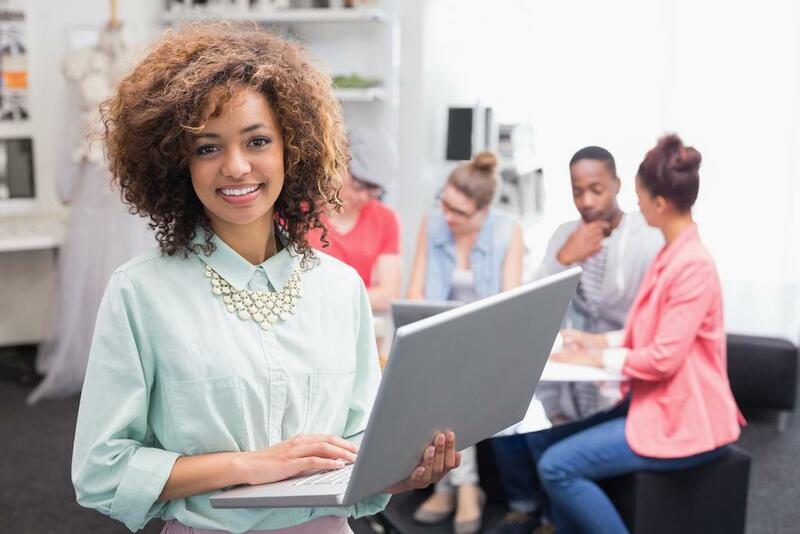 More often than not, the stakes are much higher when you make those same mistakes in your business – mistakes you could have avoided if you had learnt about them in fashion school. I often tell people, fashion school is not just about learning, learning and learning. You have to test the principles that are being taught and apply them before you leave that environment. When you are in school, you can ask questions on what worked or did not work and your teachers are there to help out. PLUS, your customers encourage you and do not mind being your “guinea-pigs” or your mistakes when they know you are still learning. But once you are done learning and you project yourself as a full-fledged designer, that’s it. You clients become vicious and those mistakes can make or break your business before you even begin to crawl. Great! I’m done! One thing is certain though – to succeed in any industry, you have to know a whole lot about that industry. Ralph Lauren and Cosmas Maduka certainly taught us that. I don’t think I would really have appreciated fashion as I do now if I had not attended fashion school. But I’m glad I did, and if you can attend one, you should. If you, however, cannot attend one now, don’t let it deter you. Start off with learning what you can learn now. There are so many great resources available on the internet which can help you start off. Start the research now, not later and don’t only focus on the art or the skill. Also learn about the business sides as well. Being a fashion designer is great but useless if you cannot make money from it – well except it’s a hobby to you. But what I always say is, if you make something for yourself and someone likes it, the minute you make that same thing for someone else and accept money, even if it is just to buy the materials and fabric, that is the start of a business. And we do know many people make a whole lot of money from their hobbies so why should’t you?! But that’s just how I think. And how about you?! What’s your take on fashion school? Is it a a “yay” or a “nay”?! And if you did not go to fashion school, do tell us what you did to get you so far in your fashion business so we can also learn from your experiences. Temitope Williams-Adewunmi is a fashion entrepreneur well versed in various areas of the fashion industry, its relationship with the business community and the business of fashion. She runs Martwayne (www.martwayne.com), a company devoted to giving people “Power Through Fashion” and helps fashion enthusiasts ‘turn their love for fashion into a viable business’. No you don’t need to. But if you can you should. Parsons and FIT alumns will tell you better. Please which fashion school can 1 attend that is not EXPENSIVE in Lagos..
Zaris Fashion and Style Academy at Centgae Plaza, Allen. It’s one of the best and also affordable when compared to the rest. The school gives you networking opportunities. That’s also what college does. But whether you go to a traditional school or have an apprenticeship, you must know the basics and ins-and-outs of your field. My knowledge of sewing mostly came from the internet. The formal school I attended was just for 4 saturdays and the were more into pattern cutting. The internet is really a great place to learn a lot of skills, but you must have your sewing machine by your side for constant practice. Will I go to a fashion school later? No. Will I encourage someone who is interested to go? Yes, if the person is willing. Great topic and answer Tope! I did go to a fashion school and it does not mean one has to peddal a machine, the fashion industry is really a wide one and a interesting and fun place to be…I really appreciate the basic knowledge I got and I am using it now to teach kids who are interested in the fashion industry. interesting topic tope: I would want nothing more in life but to be a successful fashion designer. my challenges right now is how to know the best fashion school in Nigeria lagos to be precise though, any body idea should please give a reply. thanks. For those asking of a fashion school to go,’Wunmmies Couture’ is a good place. It is at Adetayo Osho street,off Pako b/stop,Yaba. Fees very affordable. Please who knows where I can find a good fashion school in the South? Thanks a lot for your input and comments. I will always recommend attending a fashion school. But attending a good fashion school is even better. Re fashion schools to attend, well… naturally I would recommend mine. 😀 We do run different fashion courses at Martwayne and I would say we are very affordable. I would love to promote Martwayne here and tell you about how fabulous our courses are and what our students say BUT I’ll restrain myself haha. You can check us out on http://www.fashionbeyondstitches.com . At the end of the day, choosing a fashion school is dependent on what the person wants to achieve. People make different choices based on location, personal preference and of course, finances. The only thing I would say is ensure whichever school you decide on is worth it and finances should not only be your consideration – especially if you are a beginner. The last thing you want to do is start off on the wrong foundation. That translates into a lot of wasted time and effort. The money you lose out on is not really the big problem. It is the time wasted that is the REAL opportunity cost and that time you will never get back. Please what are the benefits one stand to gain after going to these schools, are business connections and links built during the programme? Valissimo Fashion School is one of the best in Lagos too,its situated in Ogba.That woman has a heart of Gold,she has a free sewing class on Facebook and Nairaland.You can also check bit out. I’ve always known how to sketch designs right from a very young age. I started my fashion business with sketching and creating designs for fashion houses. After my MBA, I decided to merge my fashion skills & talents with my business degree. Today, I consult, train, develop and manage fashion businesses. Fashion is like a tree with many branches; you need to find your niche, learn about it as much as you possibly can and start something. Not everyone is supposed to be a fashion ‘designer’. You can be a Stylist, PR, Magazine Editor, Blogger, Cutter, etc. Remember, all skills are ‘learnable.’ As for those who are looking for fashion schools to go to, I would recommend you apprentice in a fashion house that is very busy. That was how I learnt how to sew, quickly. 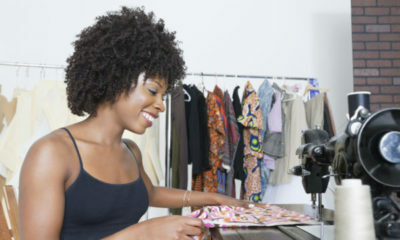 The place is called TIENA FABRICS at 50, Akerele Street, off Shitta, Surulere, Lagos.